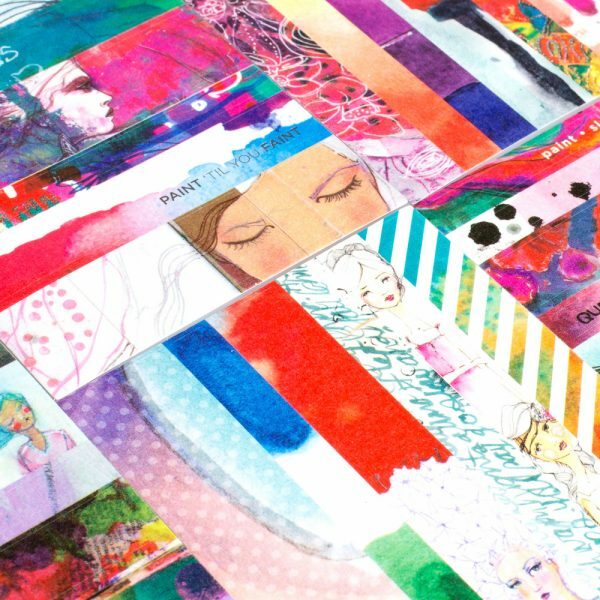 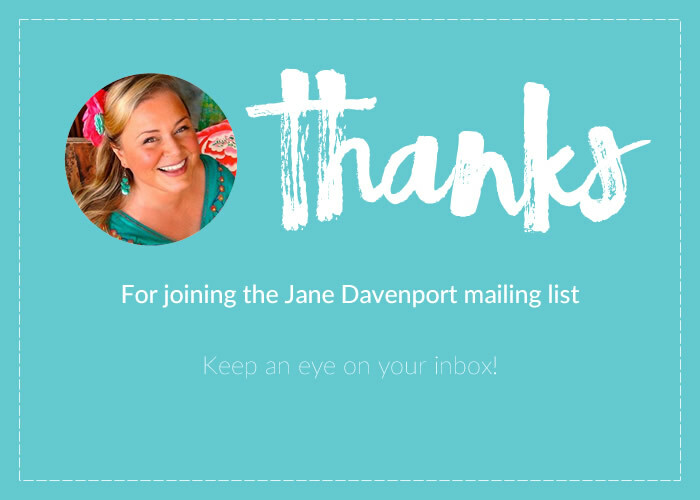 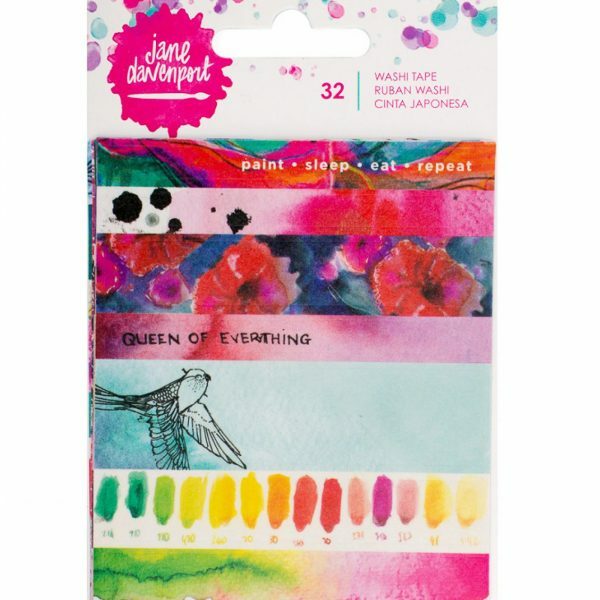 Add a splash of color to your memory albums with this Jane Davenport washi book. 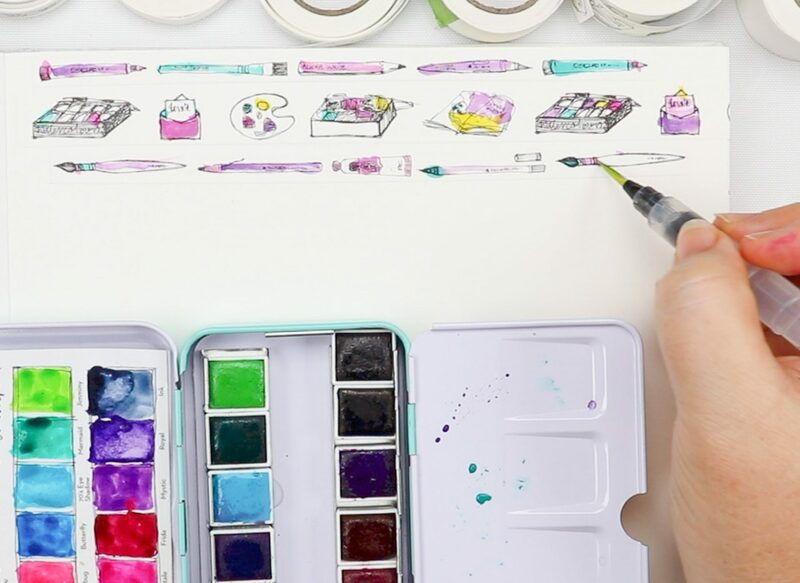 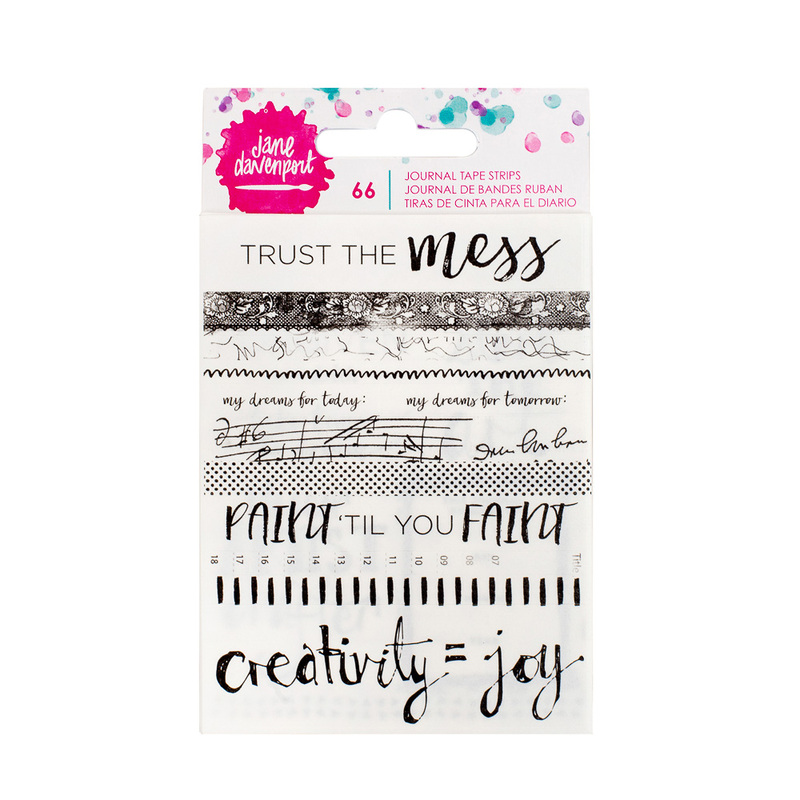 Adorned with fun colors and phrases, these washi tapes are perfect to personalize various craft projects. 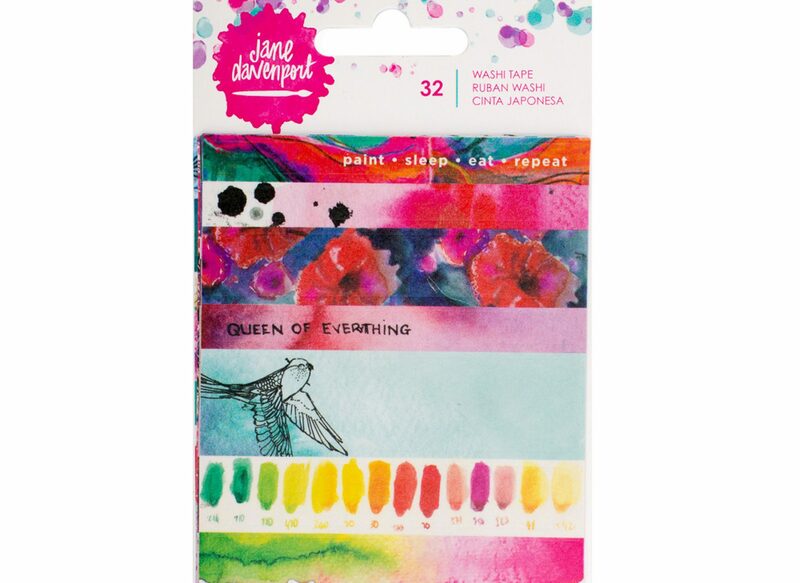 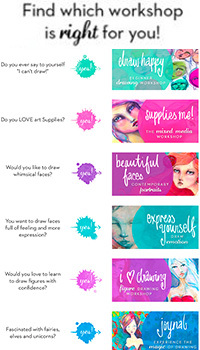 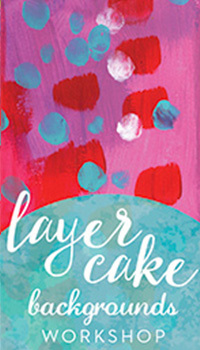 Use them on notebooks, journals, scrapbooks or cards for a unique watercolor effect. 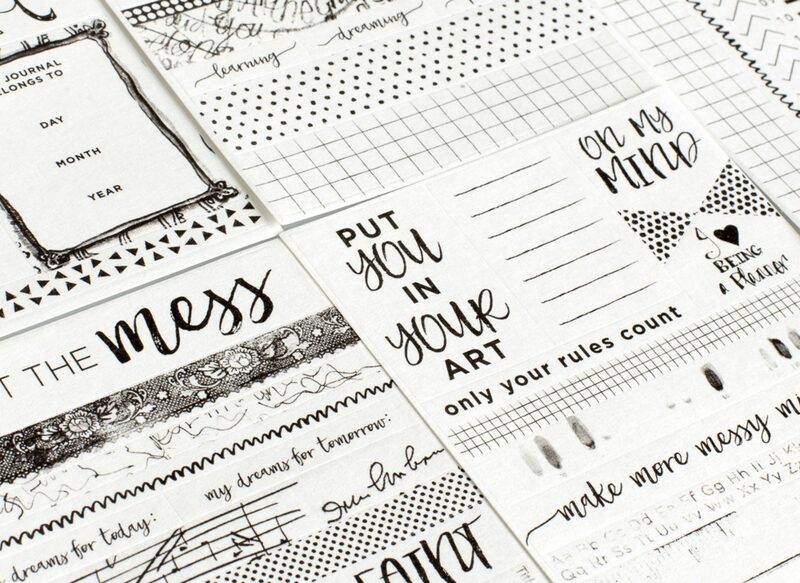 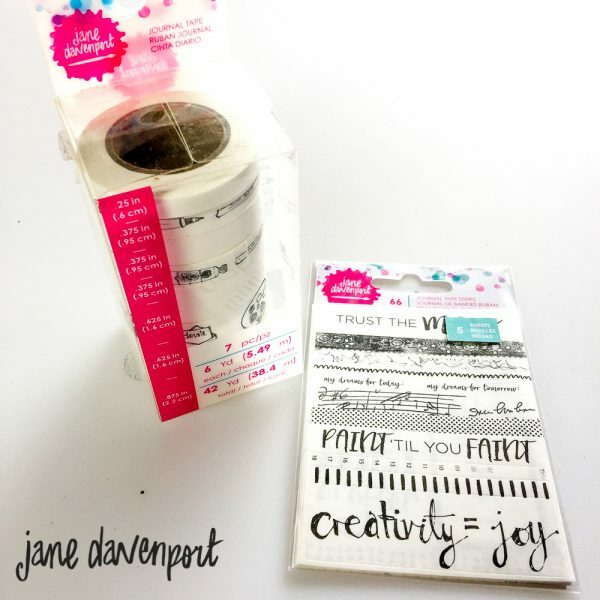 Embellish your journal pages with these craft tapes by Jane Davenport. 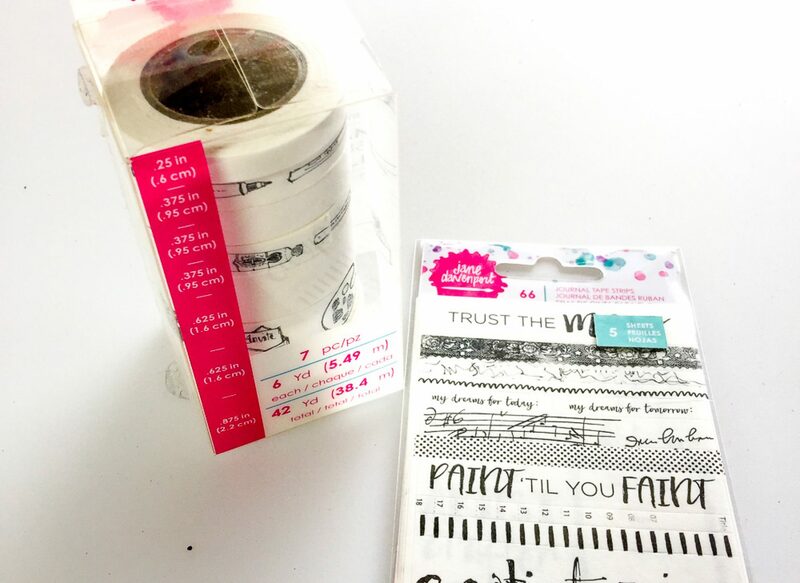 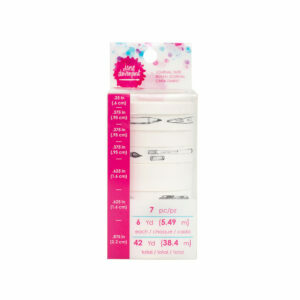 Team them with colorful washi tapes to create beautiful trims and borders for your scrapbooks or cards. 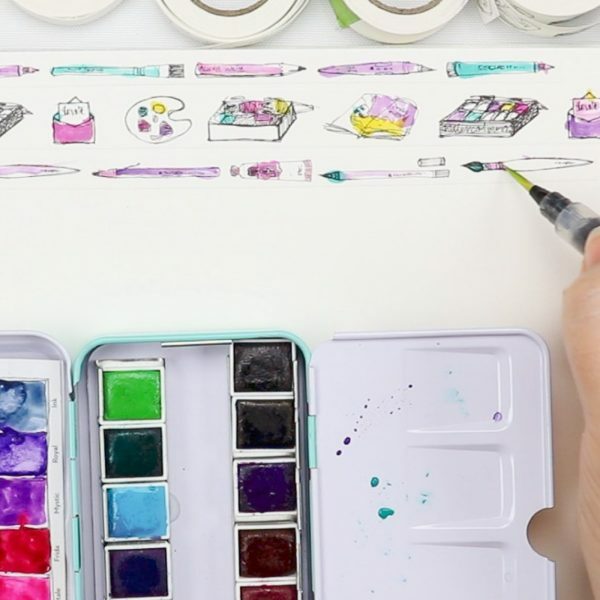 You can also use them to add fun details to your planner. 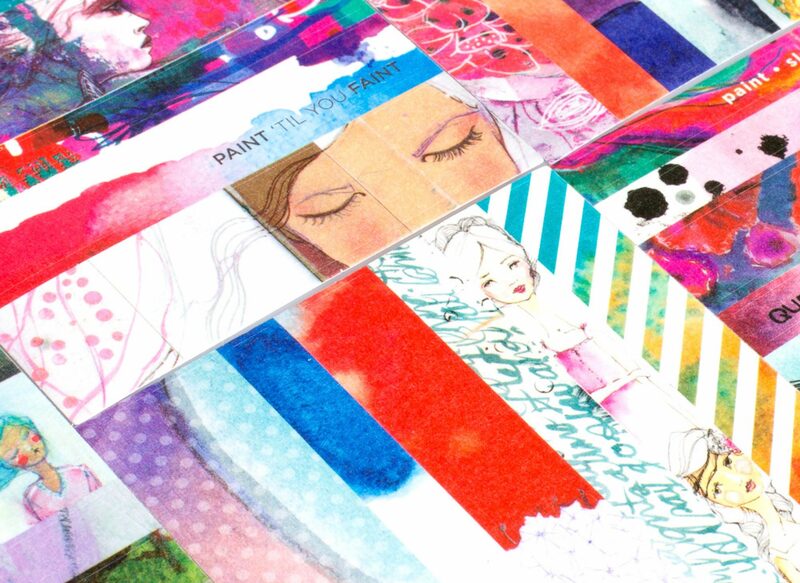 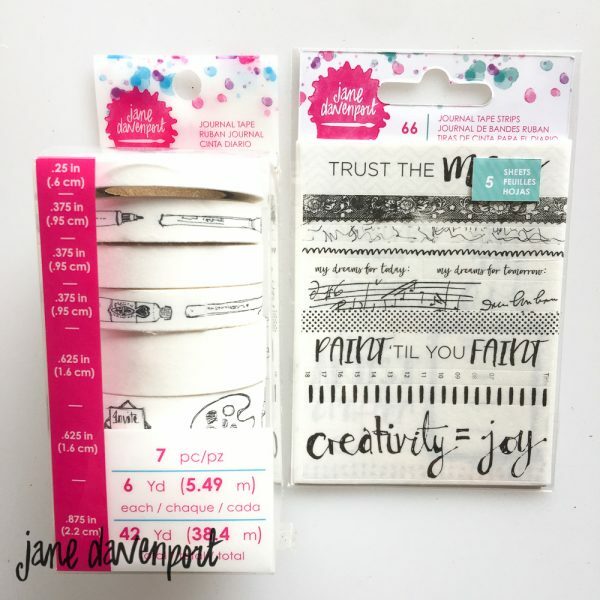 Adorn the pages of your planner with these tape strips by Jane Davenport. 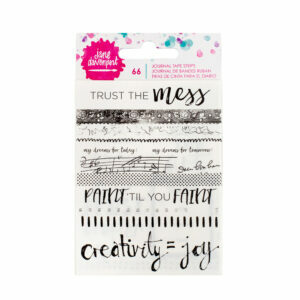 Featuring fun phrases and patterns, these tape strips will be a great addition to your craft kit. 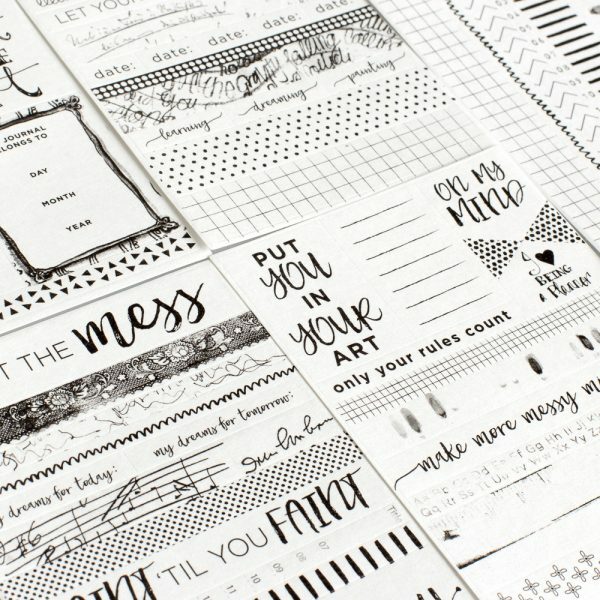 You can also use them to personalize your art journals! 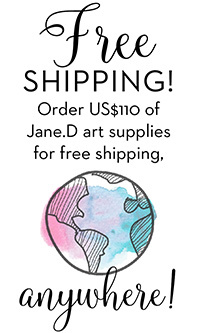 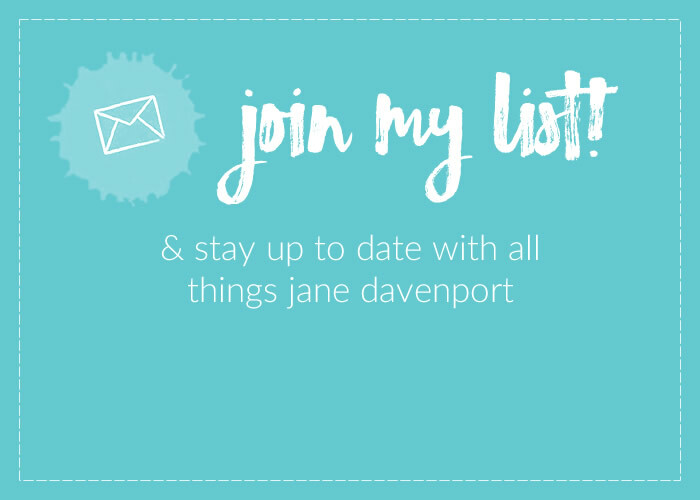 Categories: Supplies, Ephemera, Journals, Washi & Stickers, Jane Davenport Mixed Media, JD MM Sets & Special Offers. 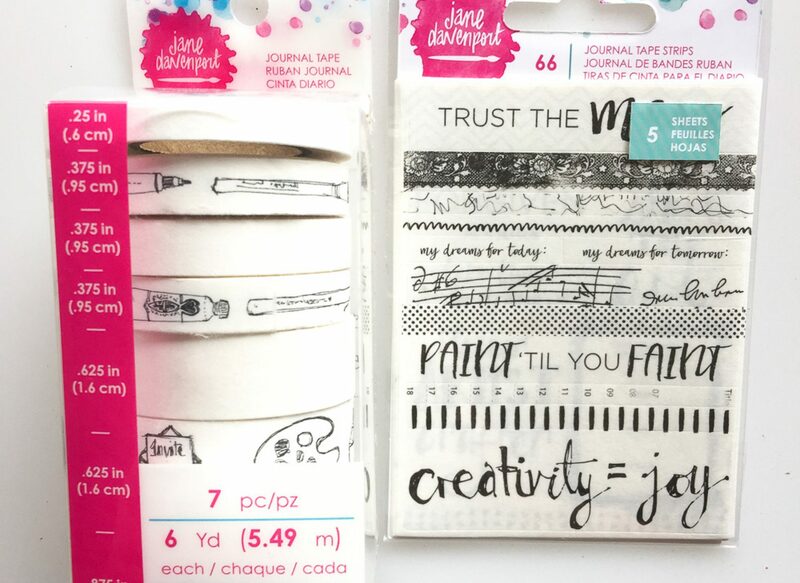 Tag: washi journal tape.